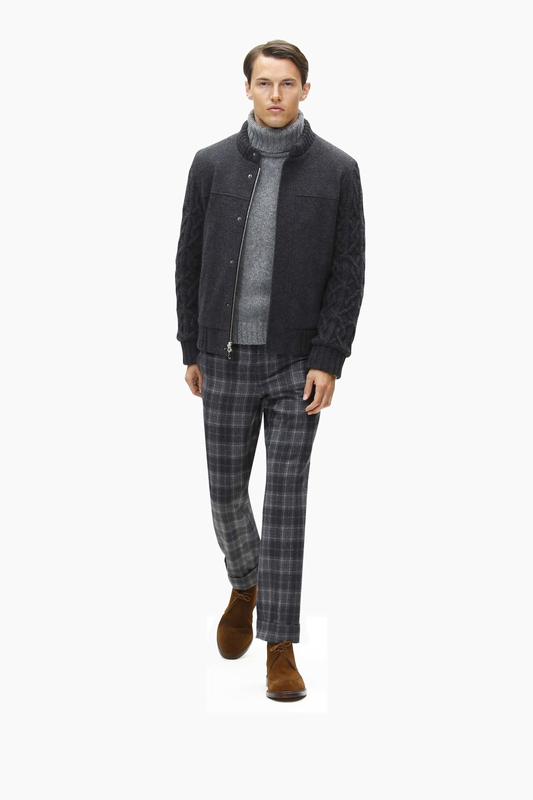 Brooks Brothers Black Fleece FW15 returns to the label’s essence. 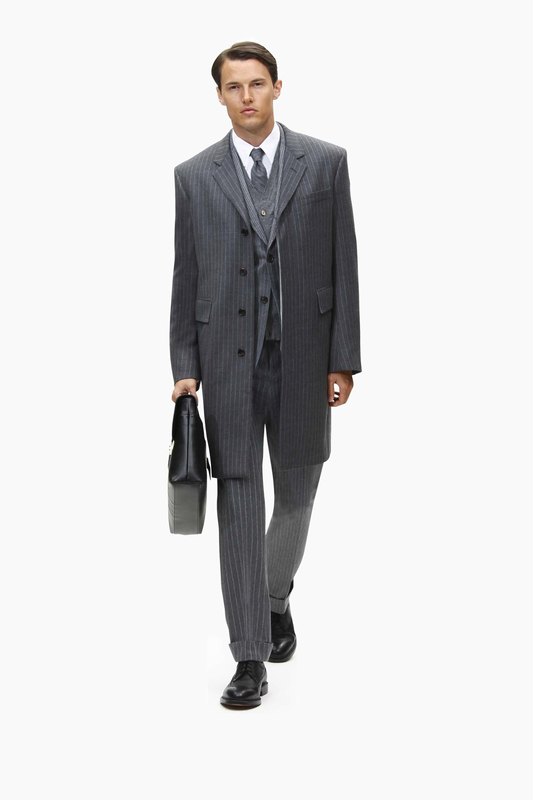 Taking inspiration from the inaugural F/W 2007 collection, Thom Browne continues to reinterpret iconic American sensibility. 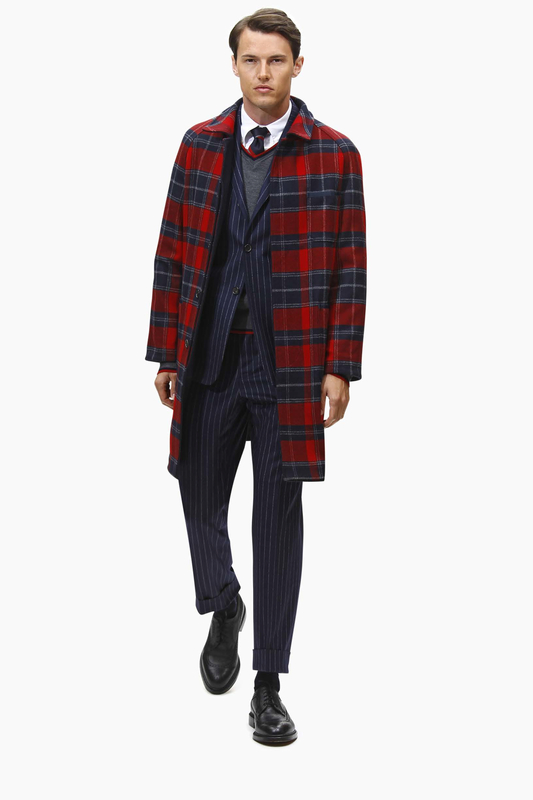 The exploration of classic silhouettes with a forward and youthful approach has come to epitomize Black Fleece. 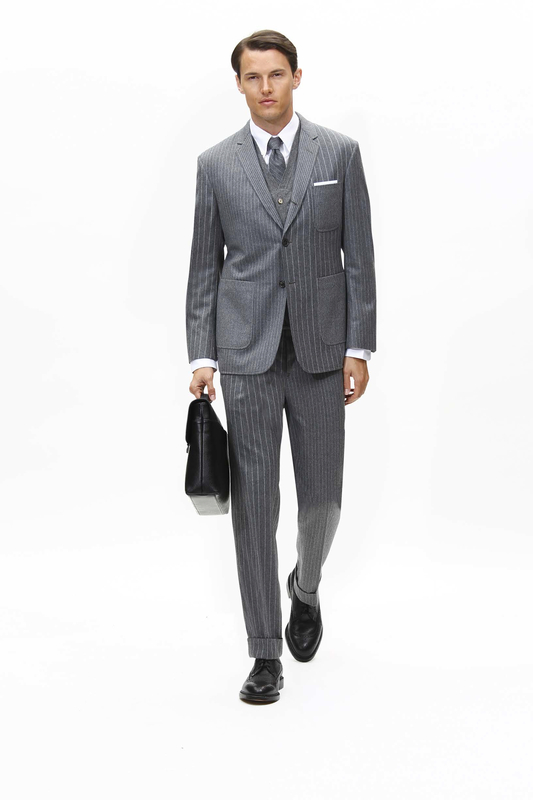 Browne reinvents classic styles through experimentation in textures and proportion. 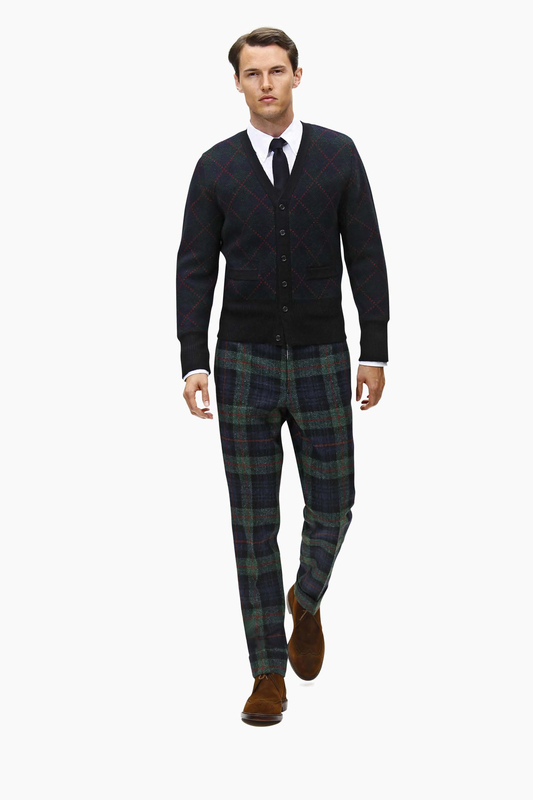 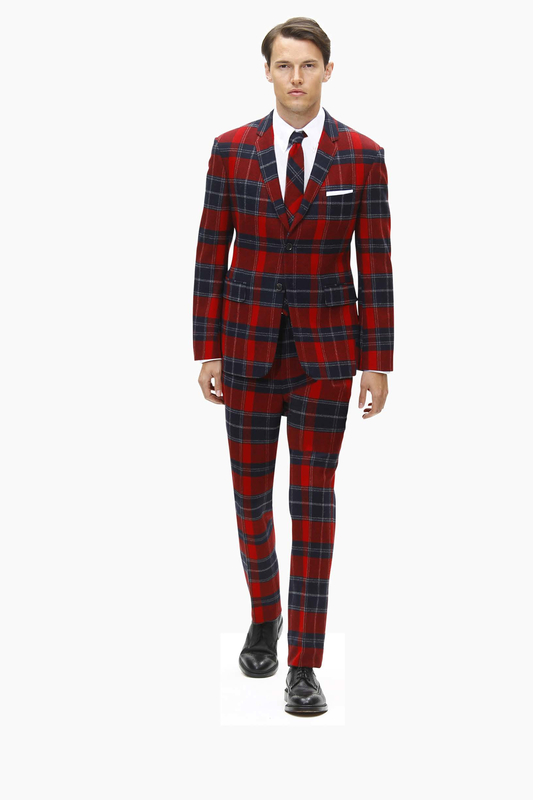 Thom Browne takes from the first collection in the use of signature plaid, argyle prints, and sweater details such as Fair Isle and cables represented in woven fabrics and in knits. In addition, wool suiting in chalk stripes, completely reversible pieces, nautical stripes, calvary twill and fleece embroidery are revisited. 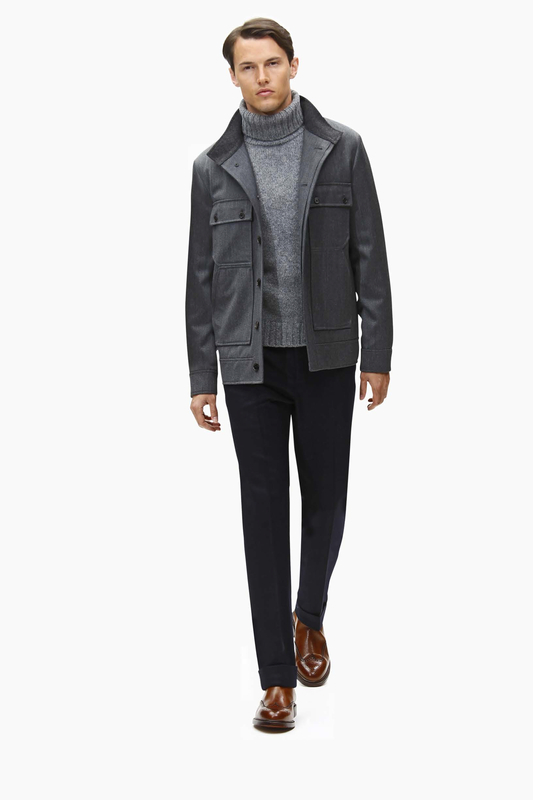 For men’s styles, new silhouettes for men’s include the field jacket, cable knit sleeve bomber, hacking jacket, morning coat, and quilted down peacoat. 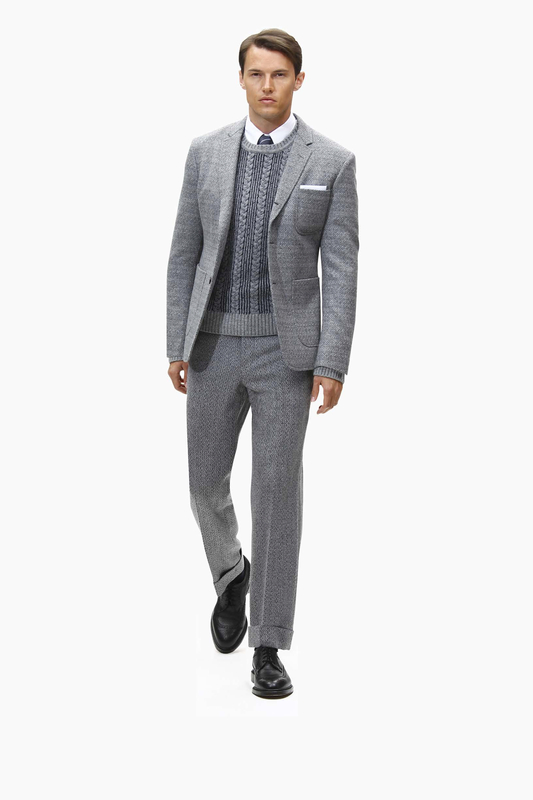 The color palette for this season consists of gray, particularly tonal grays. 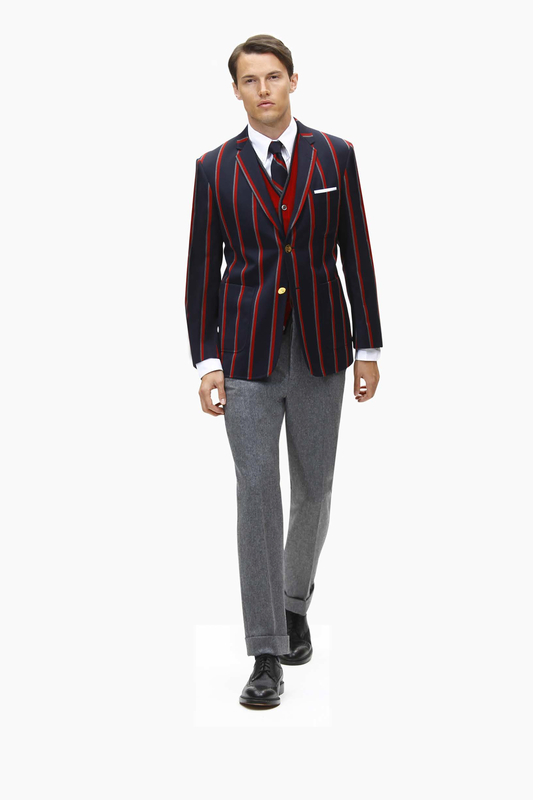 Red, white and navy continue to be prominent. 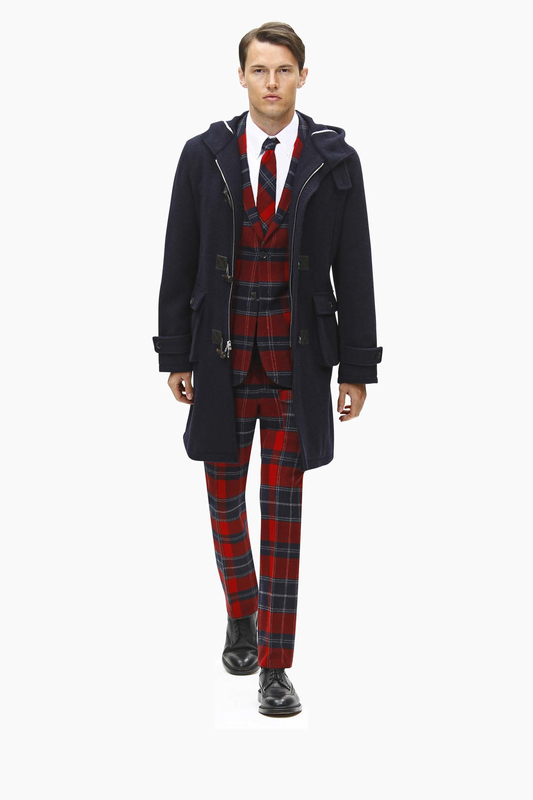 Accessories this season include small leather goods and belts and black and red tartan printed leather. 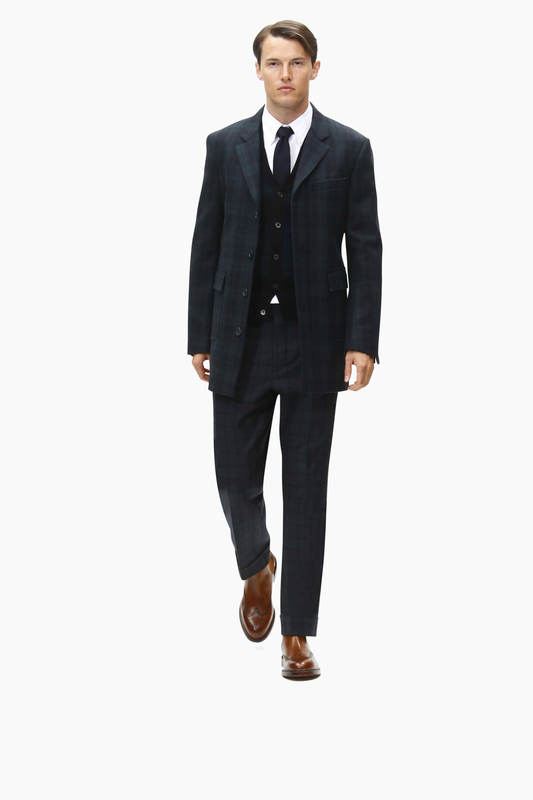 Men’s footwear features a Chelsea boot in both cognac and black leather as well as a brown suede brogue boot. 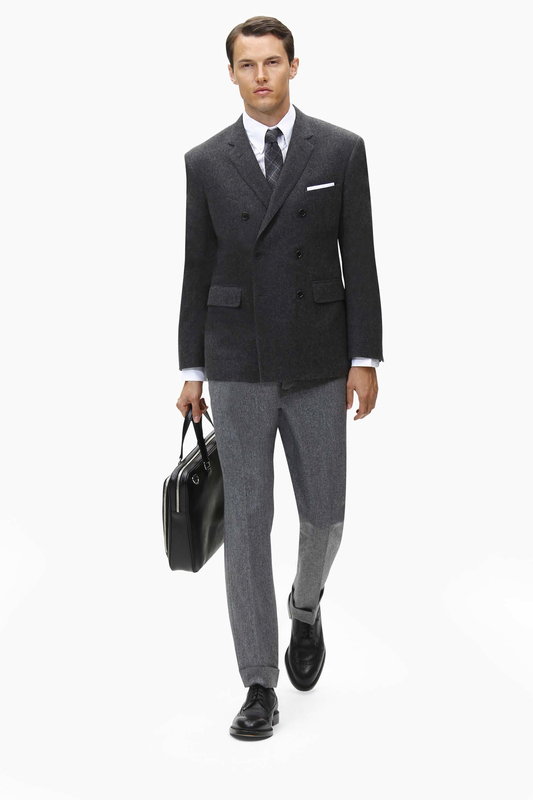 There is also a structured men’s briefcase in black pebble. 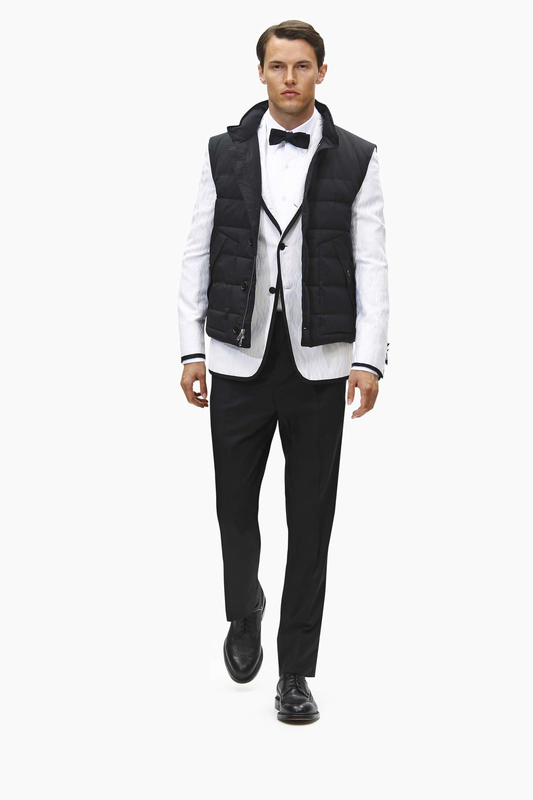 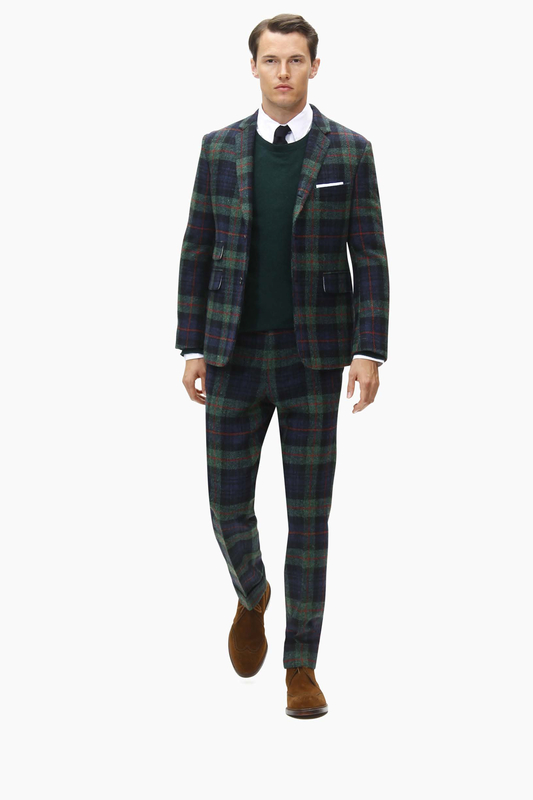 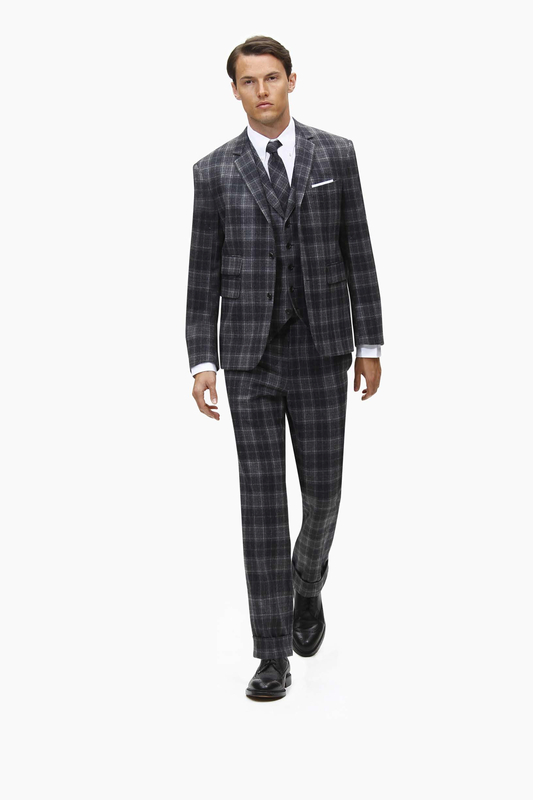 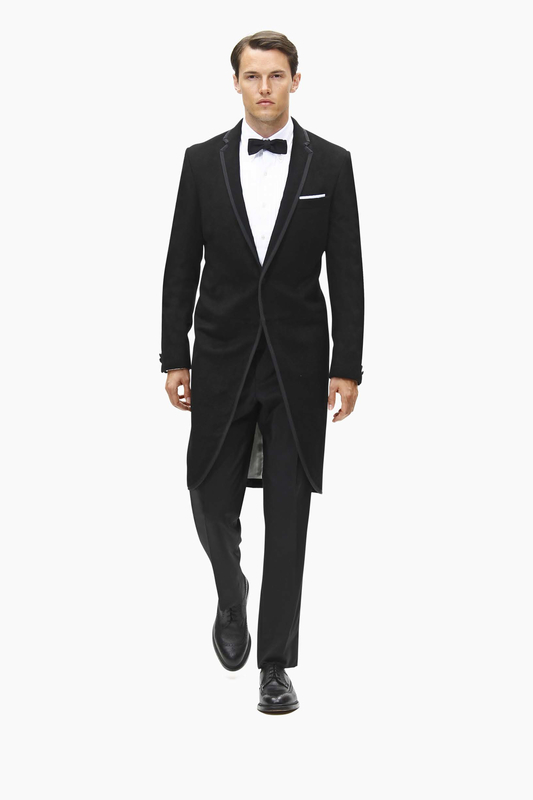 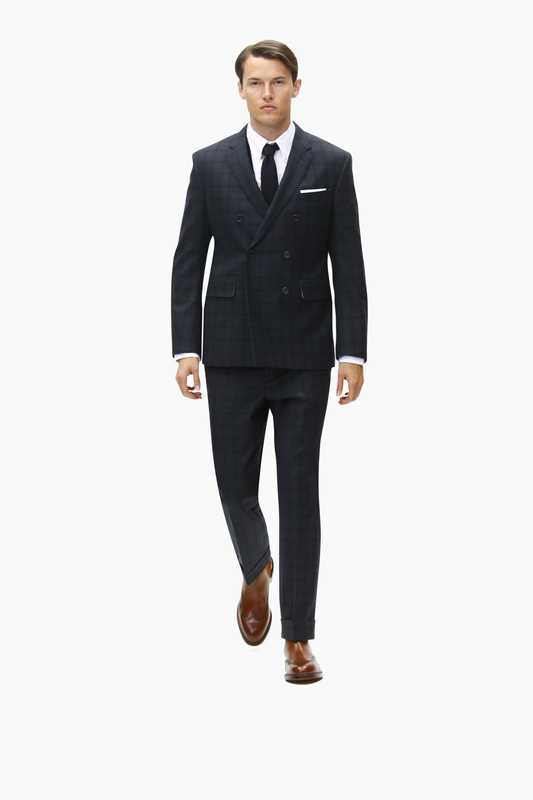 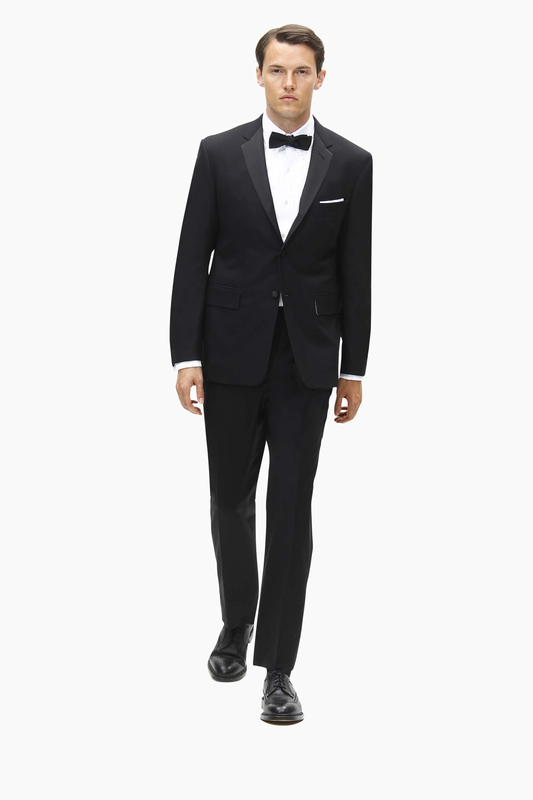 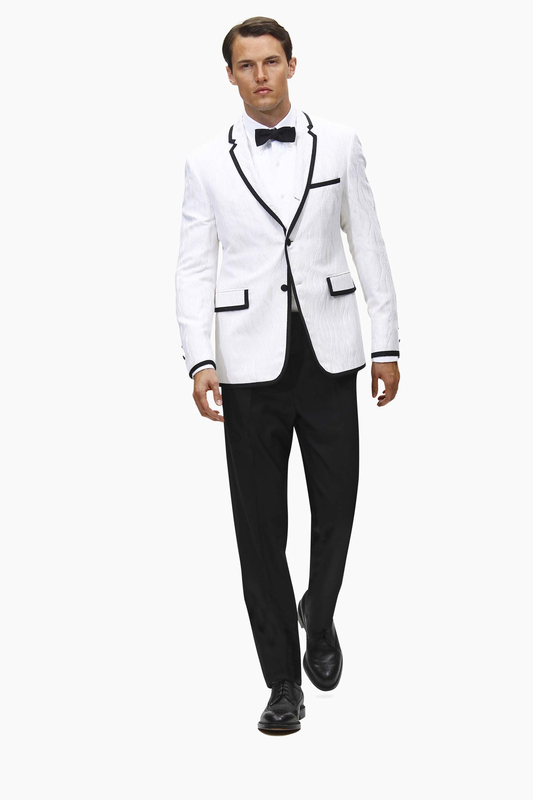 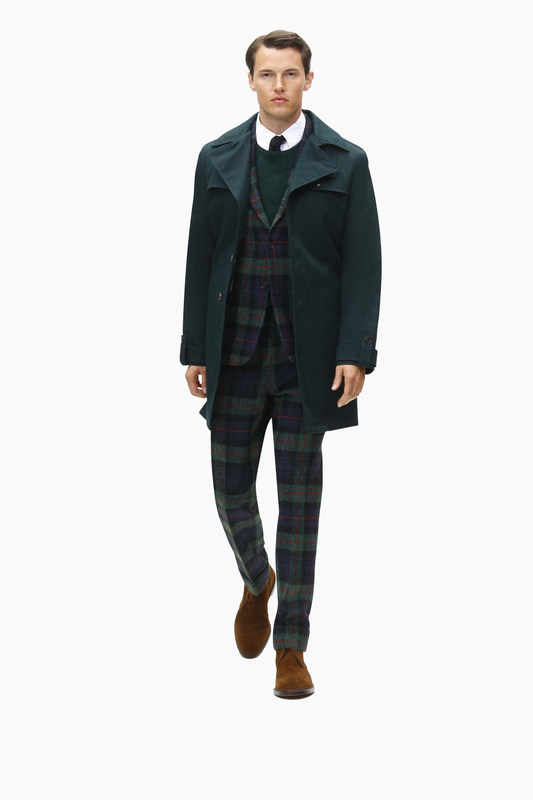 Scroll down to see the full look book from Brooks Brothers Black Fleece Collection.